Wat Jed Yod is probably one of the least visited major temples. Jet Yod translates to "seven peaks" and refers to the seven chedis which top a structure in the temple complex (left). It's a very unusual - for Thailand - temple building. That's because it's a copy, sort of, of the Mahabodhi Temple at Bodhgaya in India. 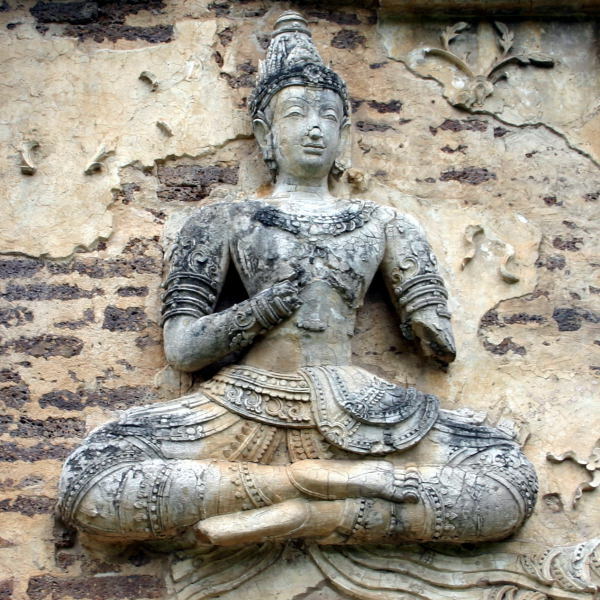 It was built in the fifteenth century to host the Eighth World Buddhist Council. Nobody seems to know the results of the council, but the temple remains. 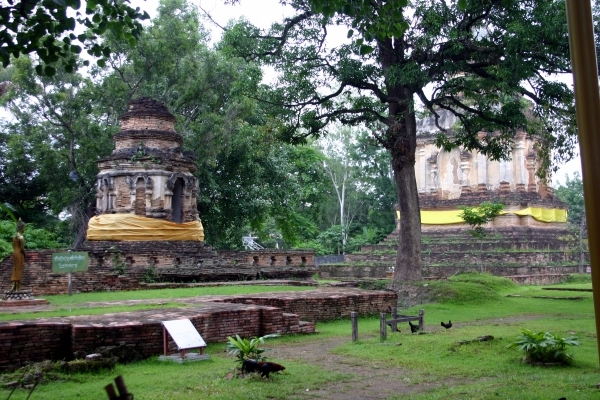 There's an uninviting cave-like hall in the rectangular base of the structure supporting the seven chedi, while a more typical modern wiharn stands in front of the old monument. Several other interesting pagodas dot the grounds of this rather large temple. An empty platform is directly in front of the entrance to the "cave." 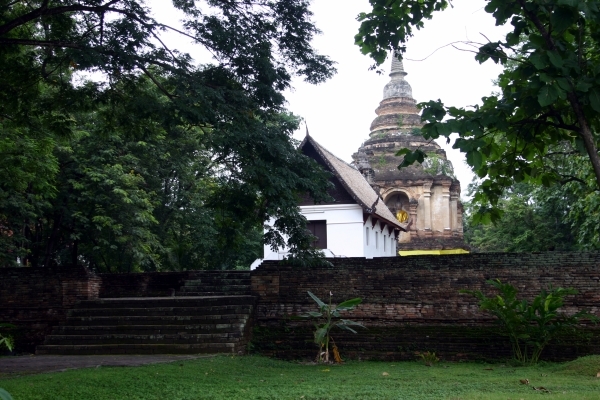 Directly behind are two more chedi (above). One of them, presumably the larger, contains the remains of the king who built the temple. Further on is another pagoda, in front of which is a very large ancient platform, which now has a small, obviously modern building on it. In the picture at left you can also see some of the many large trees which shade much of the temple grounds. 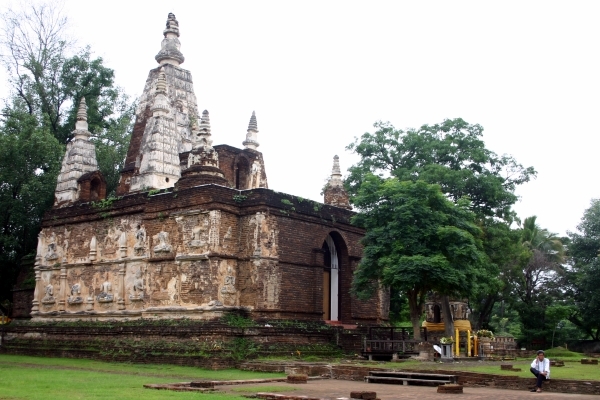 Unlike many of Chiang Mai's other large temples, Wat Jed Yod is seldom visited by tourists. It's an interesting and quiet place to spend some time away from the crowds that you'll find in most other places in Chiang Mai.